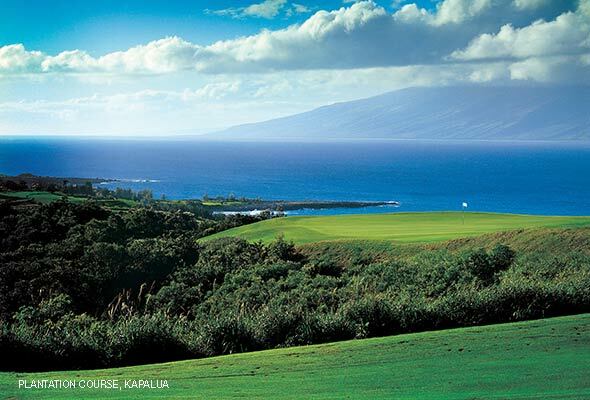 Nothing compares to Kapalua’s Plantation Course—its massive fairways, long-distance views and PGA Tour history cannot be matched by anything the Big Island has to offer. What the latter does have at Four Seasons Hualalai is an artful Jack Nicklaus design that weaves around and through fields of ancient lava rock. The Big Island wins this category easily. The third at Mauna Kea alone may be Hawaii’s iconic hole, with an all-carry tee shot over the ocean waves. And the downhill 11th is no slouch either. But there’s also the 17th carved out of lava rock with an ocean backdrop at Hualalai, and the windswept, oceanfront 15th at Mauna Lani. The underrated Bay Course at Kapalua—which turns 40 this year—does feature the oceanfront 5th (take some pictures from the back tee) but it’s a rare one on Maui. The legendary course architect built the first-ever resort course on each island. On Maui, that came in 1962 with the opening of Royal Kaanapali, where his design remains relatively unchanged to this day. 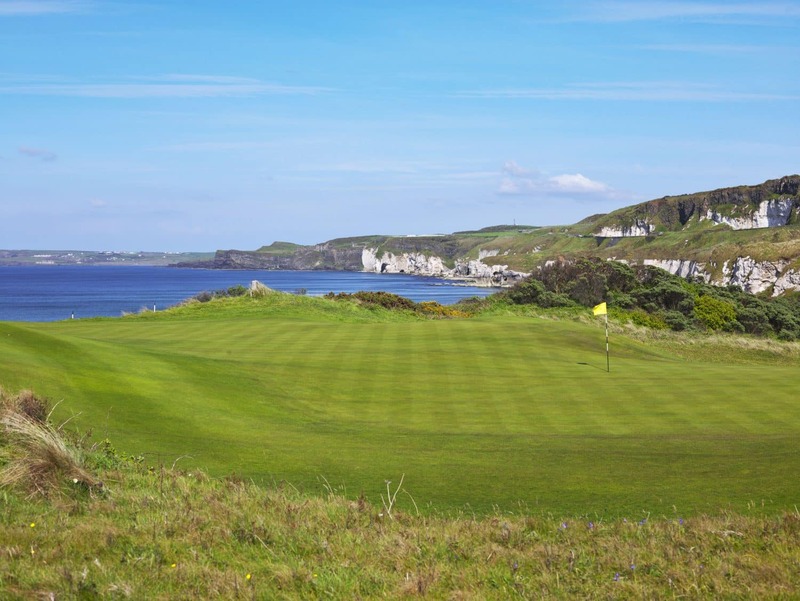 A handful of blind uphill shots can be frustrating, but once you reach those elevated greens, the views will ease the bogey pain. Two years later, his Mauna Kea debuted on the Big Island to broader acclaim, thanks in no small part to the aforementioned par three and having Jack Nicklaus, Arnold Palmer, and Gary Player present for an opening day exhibition match. It’s a more heavily contoured course made tougher in 2008 thanks to a renovation by Rees Jones. 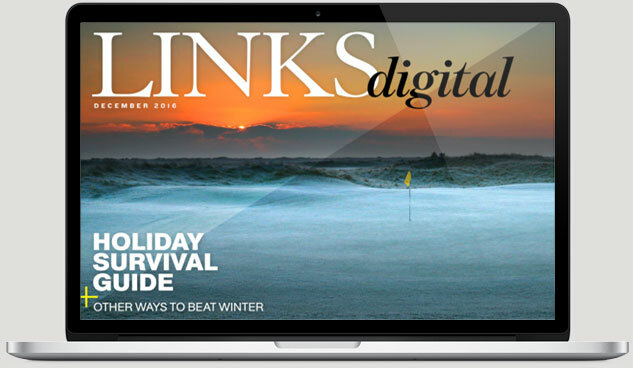 Why go all the way to Hawaii for a links-style layout? Because it’s fun and you can play in shorts rather than Gortex, de rigeur for playing in Ireland and the United Kingdom. The Dunes at Maui Lani is a short drive from the airport on Maui. 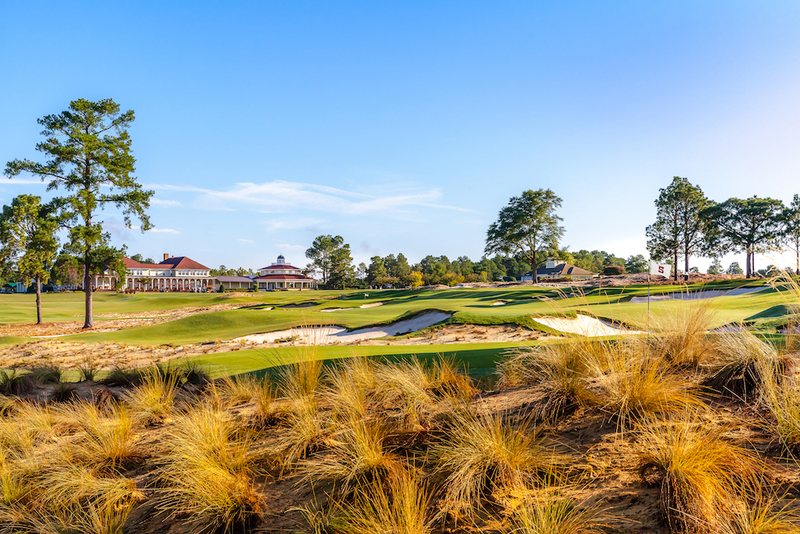 The quirky Robin Nelson-designed layout— the back nine is 600 yards longer than the front—comes full of dunes, a bell to ring upon reaching the unseen landing area on the 10th, and the 340-yard par-four 14th, an Alps-style hole with greenside pot bunkers hidden by a dune. 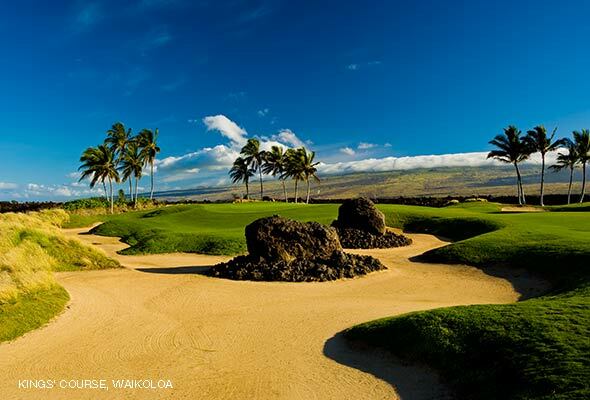 The King’s Course at Waikaloa Beach Resort is a flat Tom Weiskopf/Jay Morrish design but comes with plenty of wind that will force you to keep the ball low just like you would in Scotland. Except here you are aiming for swaying palm trees off the tee and behind the rather large greens. The King Kamehameha Golf Club is Maui’s only private 18-hole facility but you can play it thanks to a “Guest For the Day” program ($170 plus tax). There’s substantial contouring on the fairways, the elevated greens are fairly small and there’s plenty of wind, especially in the afternoon. You do get plenty of long-distance views across a valley that incoming planes use as an approach path to the Maui airport. If few members are around, ask for a tour of the 74,000-square-foot clubhouse, inspired by a Frank Lloyd Wright design and home to a memorable collection of Hawaiian art. There are more and much better private courses on the Big Island but your chances of getting on any are slim, especially Nanea Golf Club and Kuki’o. 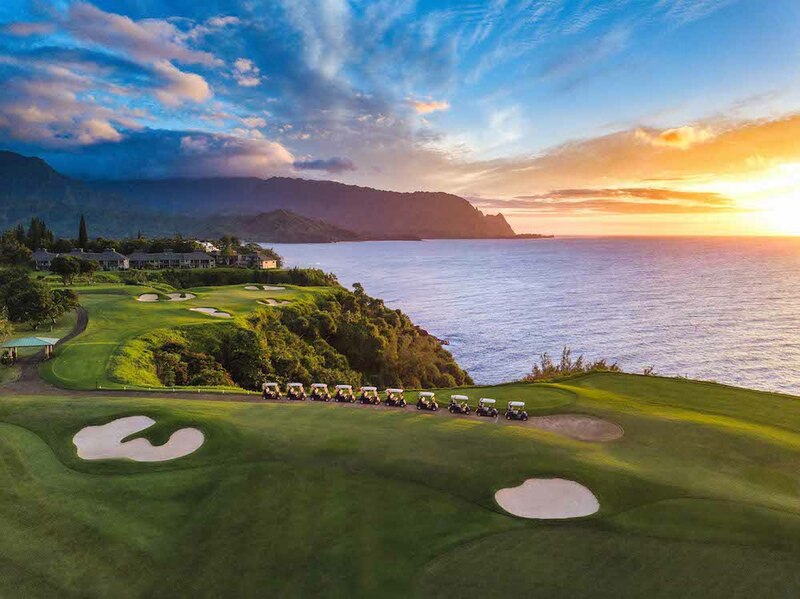 If you stay at the Four Seasons Hualalai you can get on the private Tom Weiskopf-designed Ke’ olu, and Kohanaiki does invite potential members and serious real estate buyers to play. Both islands are home to volcanoes of various shapes and sizes. On the Big Island, which includes Mauna Loa, the world’s largest volcano, the best view comes from a ride with Paradise Helicopters. It’s not cheap (the Sunset Tour comes in at $625 per person for just over two hours in the air) but what you will see is unforgettable, especially a birds-eye view of active lava flow. On Maui, you can watch the sunrise on top of Haleakala, 10,000 feet above sea level. There is always a risk of cloudy weather—some locals say that happens half of the time up there—and you do have to get up very early, so put jet lag to use and go on your second day there. Either activity will make you forget (at least momentarily) about any double bogeys.